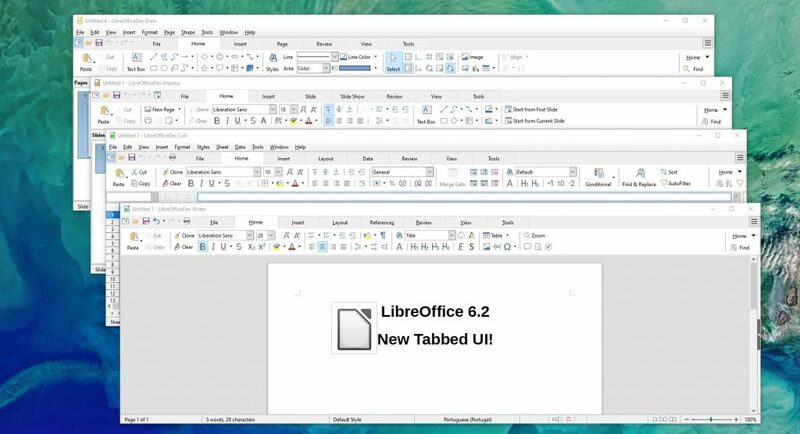 The Document Foundation today released the LibreOffice 6.2.3 open source and cross-platform office suite, a mainstream release that introduces new features and improvements including UI updates. Development lasted for six months, and the biggest improvement was a new user interface called NotebookBar, which was based on the MUFFIN concept and was previously an experimental feature. The NotebookBar UI is optional and is not enabled by default. There are three different options, Tabbed, Grouped, and Contextual. Highlights of the LibreOffice 6.2.3 release include improved Elementary and Karasa Jaga icon themes, better compatibility with Microsoft Office documents such as charts and animations, document security features for encryption and HMAC validation implementations, and fast filtering of index keywords and highlighting search terms. LibreOffice 6.2.3 provides over 90 bug and regression fixes over the previous version, contributed by a thriving community of developers. LibreOffice 6.2.3 represents the bleeding edge in term of features for open source office suites, and as such is not optimized for enterprise-class deployments, where features are less important than robustness. Users wanting a more mature version can download LibreOffice 6.1.5, which includes some months of back-ported fixes. You can view all the changes in this version here.